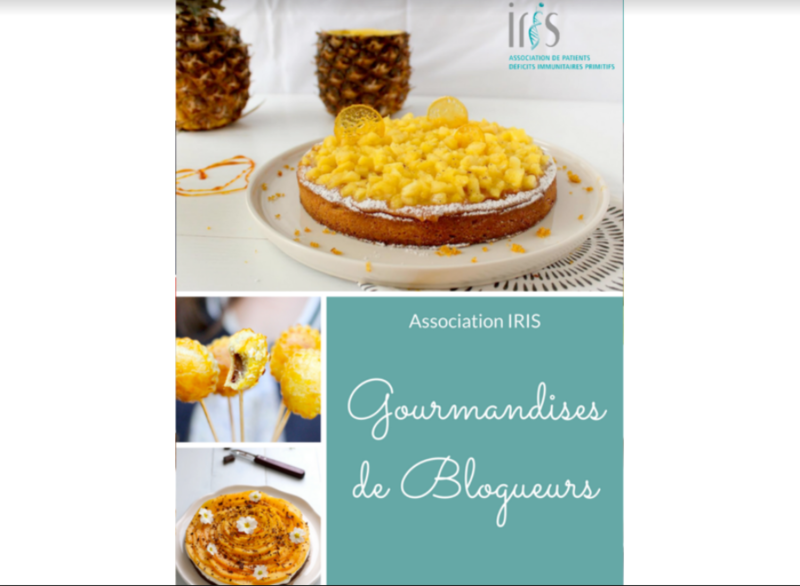 IRIS, the French primary immunodeficiencies (PIDs) patient group got the support of 12 cooks from the French cooking blogosphere in celebration of World Primary Immunodeficiency Week (WPIW) this past April. Ms Chantal Aubisse, a mother of an adult PID patient, is very fond of cooking, especially pastries and sweets which she shares on her blog Blanche’s cooking. This April, Ms Aubisse invited 11 of her fellow cooking blogers to dedicate one of their specialties to a child with PID. In result, the 12 cooks gathered their recipes and a small piece on the child they are dedicating the recipe to in an ebook. The ebook can be downloaded in the iTunesStore in exchange for a small donation (indicated by the person downloading it) and its PDF version is also available. Recently, a new benefactor offered to print the book. IRIS wishes to thank the cook bloggers for their generosity!